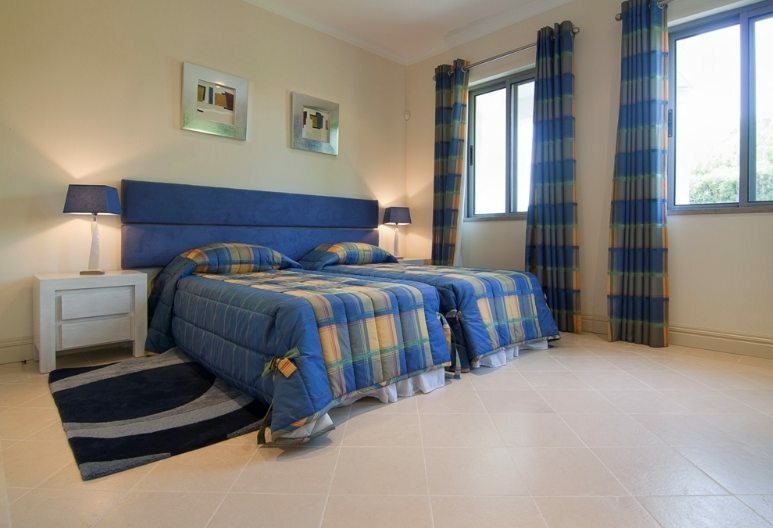 Azure Holidays are delighted to present this wonderful 5 bed villa in Quinta Verde. 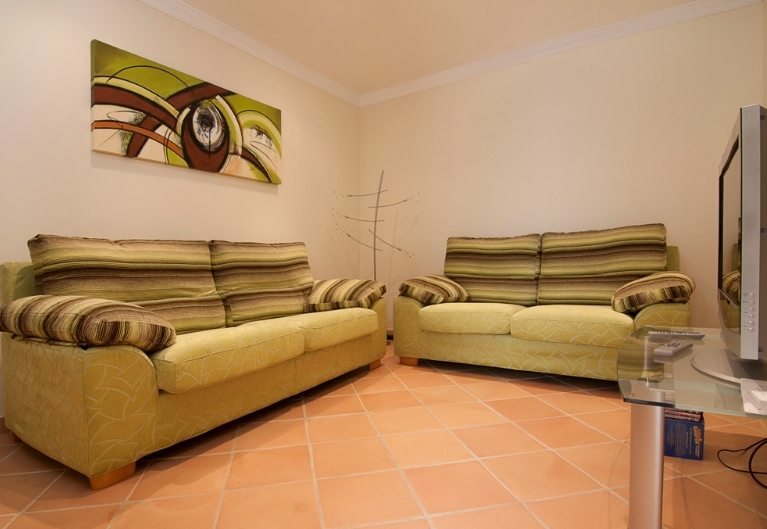 Spacious and designed with rest and relaxation in mind this is a great family villa. 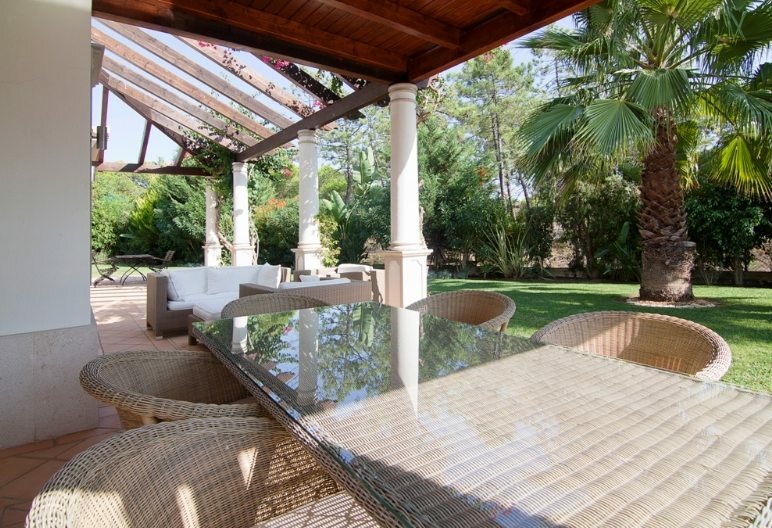 If you are looking for a villa that ticks all the boxes, this could be the one. Ask Azure. 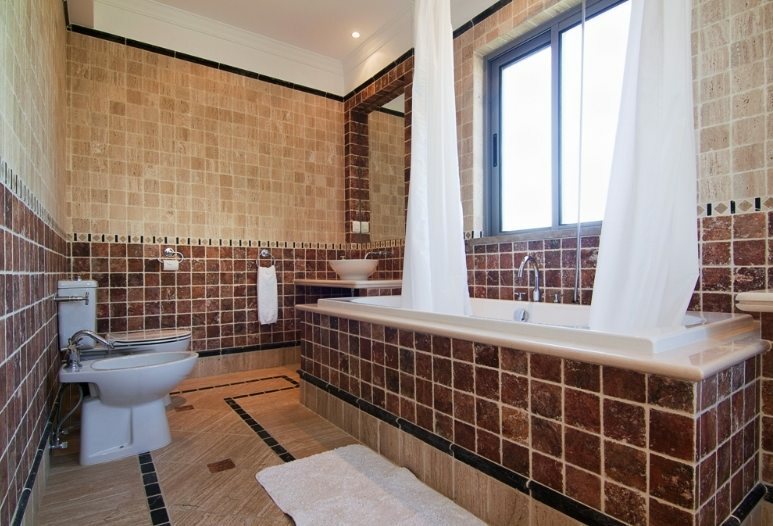 "Finished to a very high standard this villa offers space and luxury all you need to do is make the time to enjoy it. We love the pool area with its luxurious sun loungers and the BBQ area offers a great alfresco dining experience." This stunning white villa with its turreted roof has plenty to offer the most discerning holiday maker. As you arrive at the property you are aware of what a good size plot this villa is set upon. With a gated entrance and drive and off road parking, you will have plenty of space for those hire cars. The property has grassed areas all around with mature trees and shrubs providing space for exploration and peace and quiet. The rear garden has much space for any children to run about it, or some lovely grass picnic spots under the shade of the trees. The large pool is very inviting and the sun loungers placed around the garden give options for relaxing. One of the sheltered terrace areas have the added bonus of sliding glass doors making this an ideal villa for a winter break as well as for the height of summer. The rest of the property has terrace areas all around, with either covered roofs or open beams. These are wonderful areas to relax and unwind, or enjoy an alfresco meal. Talking of alfresco meals, the BBQ is next to the pool and is of course the perfect place to try out those BBQ skills with some local fresh produce. The interior is decorated in warm neutral tones with accents of chocolates and oranges. The longue area has inviting comfortable sofas set around a low coffee table and a wood burning fire place, punctuating the lounge with an ambience of warmth and style. The lounge also has a flat screen TV and plenty of books. 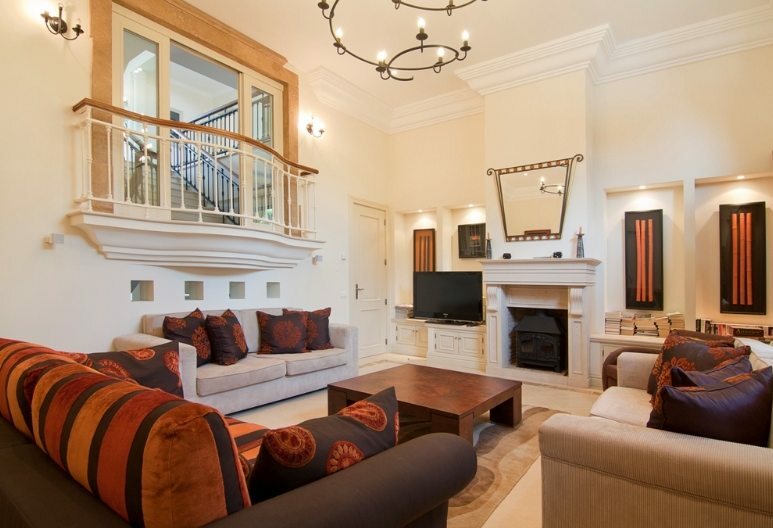 Overlooking the lounge is a small balcony area giving you a view of this room as you ascend the stairs. 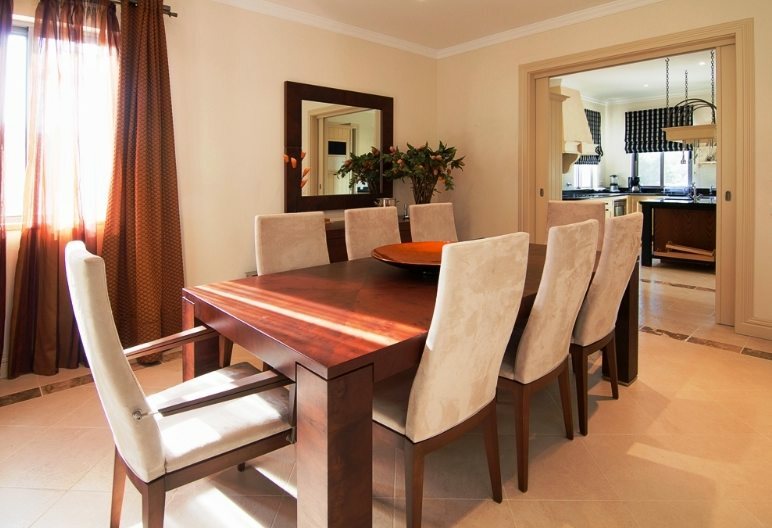 The dining area is another room offering style and elegance combined. The dark wood table and soft comfortable chairs is a wonderful spot for a family meal, and conveniently located right next to the kitchen. 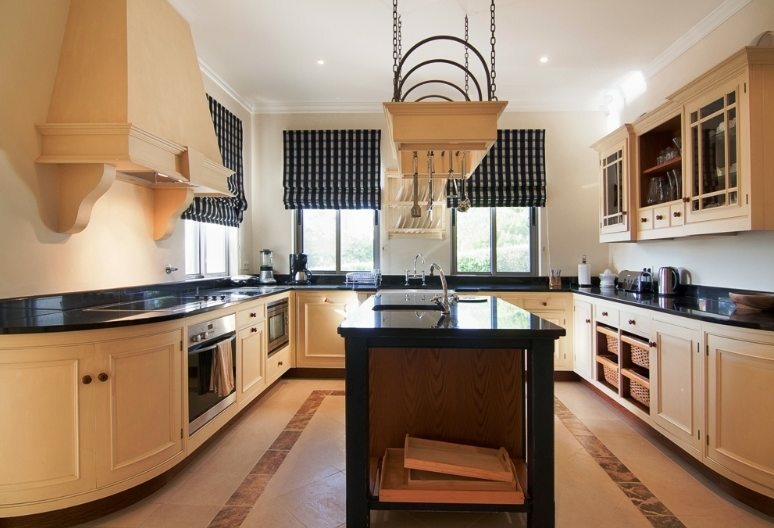 The kitchen itself is a modern space offering dark granite work surfaces and a central island with an over head utensil rack. The kitchen has all of the conveniences you would expect from a kitchen of this standard and is a lovely space to work. 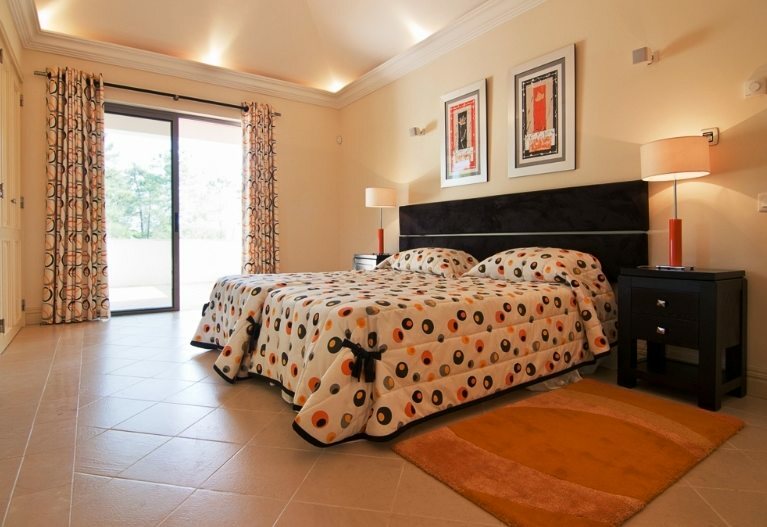 The bedrooms are as equally lovely as the rest of the property with exquisite decoration and comfortable furniture. 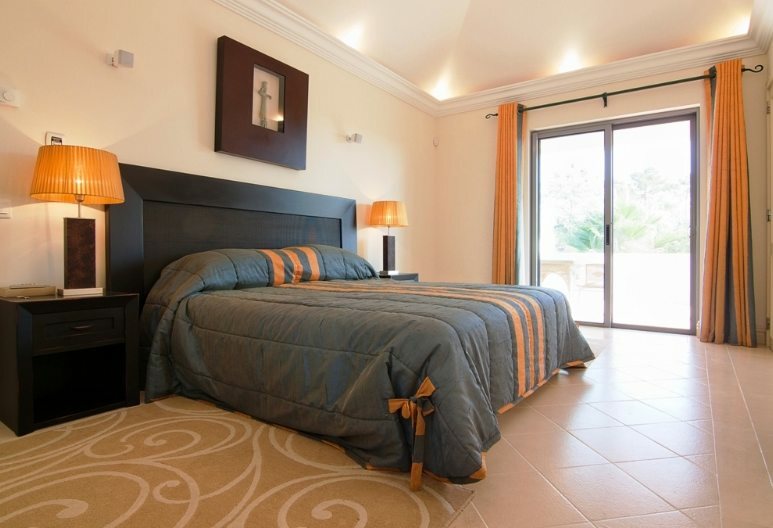 There's nothing worse than a villa that looks great, but has uncomfortable beds, and there is no chance of that here. 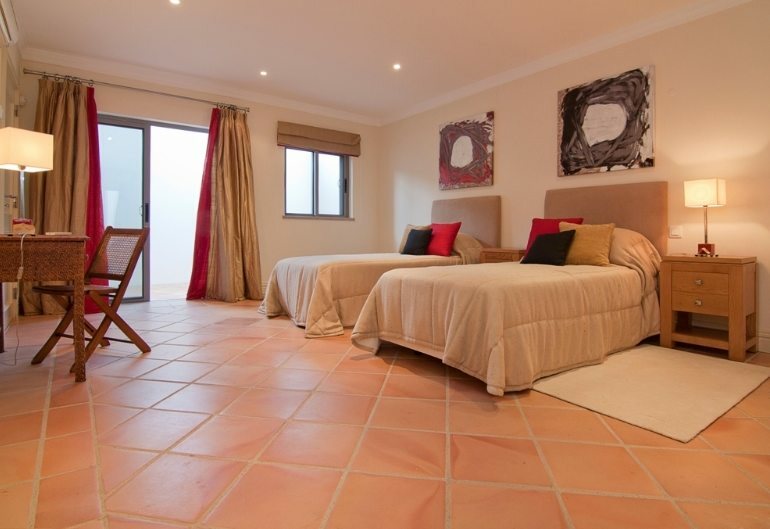 The ground floor rooms have access to the garden and terraces, and the upper floor rooms have the balcony to enjoy. 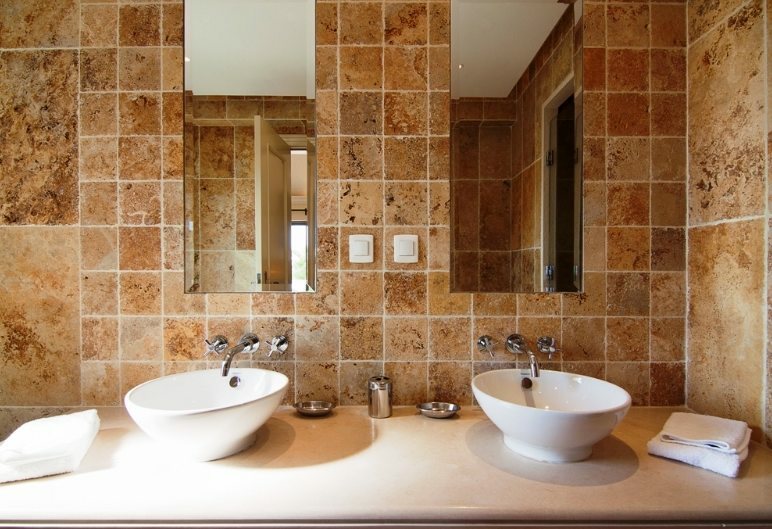 The bathrooms have luxurious fixtures and fittings, it's surprising how much of a difference the tiles and sinks can have to a room, but these rooms are definitely luxurious - real joy to get ready for a meal out in. On the basement floor is a den area with a separate TV room ideal for the kids to watch a movie away from the rest of the guests. The area of Quinta Verde is a highly sought after development in the Algarve where only the most luxurious of villas find their home. At the centre of the development is a gym that is available for the use of the guests. Visitors come here for the golf and the glorious beaches, as well as the glitz and glamour of the Algarve and its well worth exploring the area for shopping and restaurants. You can read more about Quinta Verde here. This villa comes highly recommended and if you have any questions or would like to book this villa then please contact us today.